Hey everyone! Life is still super crazy busy and I'm going to have to apologize for not being as regular with the updates as I usually do. Rest assured, I am still checking up on comments and I've been trying to catch up on e-mails so if I haven't gotten back to you please be patient and I will respond as soon as I can! I was going to upload a video tonight but after two failed attempts and waiting a total of about 2 hours before they errored out, I've decided to just post a quick FOTD and jewelry review instead. Here I am wearing Skin79 Hot Pink BB Cream, Mac Blot Powder, Shu Uemura Rouge Ultimate lipstick in Jupiter Brown, Rock & Republic blush in Bedroom, Urban Decay 24/7 Liner in Ransom, and one of my fav NYX eyeshadows, Morocco. 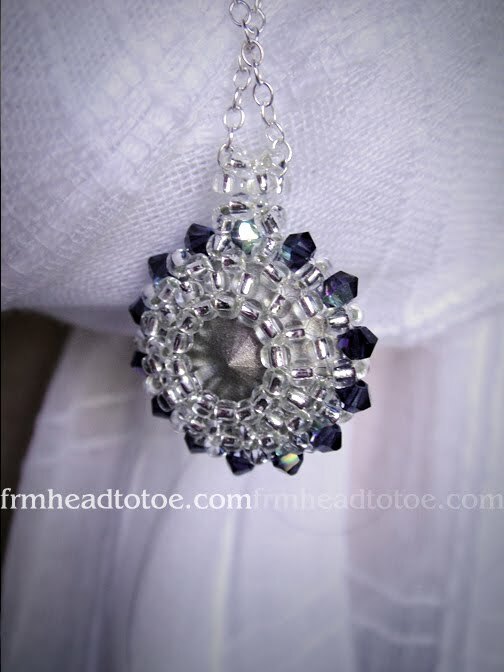 Did I mention that Heliotrope Swarovski crystals change colors? In some angles it's a deep purple and in other lights it has flashes of teal blue. Even the back has a really amazing pattern of beads which keep the crystal solidly in place. I absolutely love the nail polish. I have been very very into nudes too and have been rocking that for the past month. Gorgeous! HQCD is one of my favs. She's so talented and unique, i love it! you look beautiful in the first pix! and the necklace is gorgeous! I'm glad you posted the polish b/c I was just about to ask. It looks so creamy and delicate! Maybe I'll buy it and take it to the salon...I can't do my own nails to save my life despite many, many attempts. And isn't it hot where you live? I'm surprised to see a scarf here! Ah! the necklace is sweet! That's my absolute favorite color, I actually recently bought a nail polish that would match really well. You look really pretty, as usual.. Your nails are so nice, like perfect shape yet not insanely long. The necklace is beautiful and i love the color of the nail polish. Oh my!!! 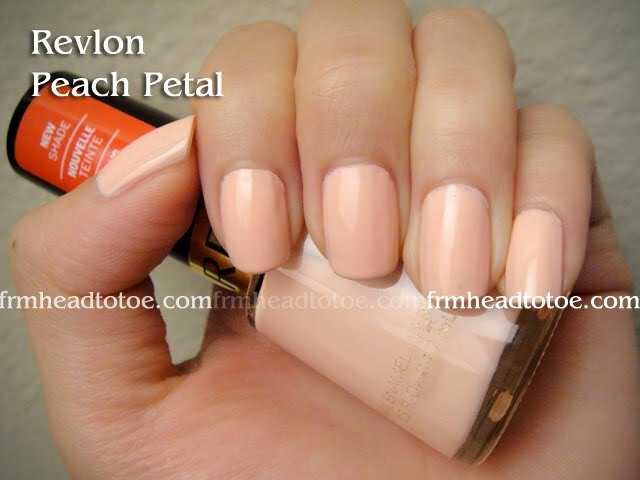 Revlon Peach polish looks really pretty !!!! Love your Photo with scarf !!! what kind of lashes are you using? Love that Revlon polish on you. Love the necklace, my eyes popped when i saw how pretty the blue is, considering that i'm more of a green girl :) and i must agree that the handicraft is very delicate. Must have cost a lot? Love the Skin79 Hot Pink BB cream on you, how is your skin taking it so far,will you be doing a tutorial on it? I'm currently using the Gold BB cream, it is a bit dry on me so i had to hydrate myself properly before application. As for the nail, yes, like what PAG said, thank goodness you posted about it cuz we're about to ask. It has a very nice shade. Will lookout for it in my nearby counters. That Revlon colour is so beautiful and your FOTD is really nice. You look gorgeous! Now I'm really tempted to get that necklace now :) It's so beautiful for the price! How did you get yours so perfect? And how many layers did you use? OMG can you say gorgeous? 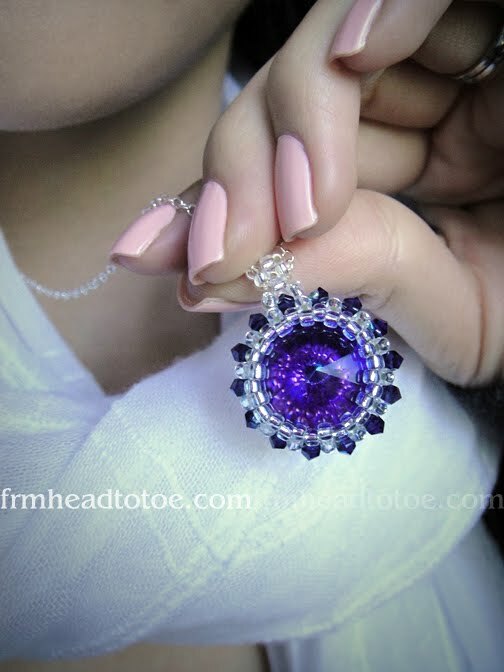 Truly unique jewelry - I love how it sparkles. I was debating getting the polish you are wearing now - all the Revlon polishes I own have not applied the way I wanted them too...I don't know how you got the polish to look so well...perfect. I LOL everytime I read your posts - "perverted" amount of polish? :D You have a way with words, my dear. You look gorgeous, as always! Love the R&R blush! Need to pick it up @ next Hautelook sale! Love the Revlon nail polish too! Thanks for sharing and all the best! The necklace is soooo pretty! I wonder how many nail polishes Jen has? I love the peach petal but i couldn't find it in the nearest drugstore. Wow that really is a gorgeous necklace! There's still the amethyst and sapphire, both beautiful! do you now have permanent double eyelid Jen? you dont seem to use much of the eye tapes anymore?? 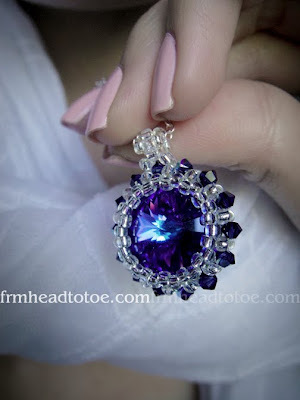 Very beautyful necklace! I love HQCD too! WOW!!! that's a lovely necklace!!! I wanted something similar when Janice Man (popular HK model) sported something similar!! Her's was a ruby red though! This is great! thanks for sharing, now i know where i can get something similar! thanks! by the way love the necklace! What a pretty necklace. I checked the HQCD website and I'm not obsessed! Thank you for introducing it.